Megan Andrews helped local officers care for two small children for over an hour after their mother crashed the family car in an alcohol-related vehicle collision. A sudden and unexpected vehicle wreck is disruptive enough, but in most cases, the disruption is just beginning. Many victims are too injured to even leave the hospital, which is why most injury-related hospital bills often exceed $100,000. Generally, there are more medical bills to come, because most victims also require followup medical care and extensive physical therapy. Quality of care may be an issue as well, because many doctors do not frequently work with Florida car crash victims, so they may not properly diagnose and treat conditions like whiplash. An attorney addresses both these problems. First, a lawyer can refer a victim to an injury care specialist, where the victim gets the needed assistance. Second, a lawyer usually sends a letter of protection to the provider, so the victim needs not pay any upfront money. As the victim struggles to recover, the insurance company usually calls constantly with a settlement offer. This proposal is usually a lowball offer, because the insurance company knows that the victim is not working and is experiencing financial distress. A lawyer takes all these phone calls, and also knows the approximate settlement value of the case, so victims have a better chance of obtaining maximum compensation. Take pictures of property damage and other physical evidence. If you see a serious car crash in Tampa and the victim is obviously too injured to do these things, you can be a good Samaritan and assume these responsibilities. Be careful not to interfere with first responders as you do so. 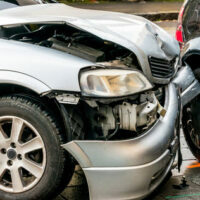 Furthermore, never give a statement to the other driver’s insurance company if you are involved in a Tampa car wreck. Insurance company phone operators always seem polite, but they have usually received instructions to extract damaging information from the victim that can be used in court later. It’s very important to know what to do after a car crash. For a free consultation with an experienced personal injury attorney in Tampa, contact The Matassini Law Firm, P.A. today, because you have a limited amount of time to act.